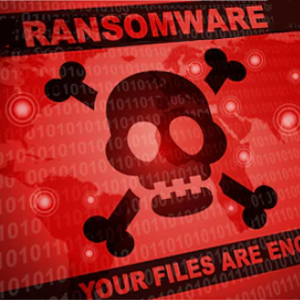 Numerous ransomware attacks occur worldwide. But there are certain ransomware attacks that stand out from the rest. Let’s find out some of the worst examples of ransomware attacks below. WannaCry ransomware is a cryptoworm malware that exploited vulnerabilities on Windows OS. The WannaCry outbreak began from an exploit called EternalBlue. Based on the story of former NSA employees, the EternalBlue exploit is developed by the National Security Agency (NSA). It contained the vulnerabilities of the older Windows operating systems. On April 14, 2017, the Shadow Broker hacker group exposed the exploit. Many hackers across the world had taken advantage of this to spread WannaCry. WannaCry travels in the network in search of a vulnerable computer. Then it encrypts valuable files and demands a $300 ransom in Bitcoin. That’s one of the worst examples of ransomware attacks. Ryuk ransomware was allegedly linked to the author of Hermes ransomware. Hermes was a ransomware member responsible for the Far Eastern International Bank attack in Taiwan. In January 2019, Ryuk ransomware was believed to have been involved in the attack against the Tribune Group. It delayed the newspaper production. Ryuk prevents the recovery of ransomware encrypted file, by deleting the shadow version of the operating system. This is one of the examples of ransomware attacks that must be avoided. JungleSec is a ransomware that infects the computer through IPMI vulnerabilities. Linux is the operating system that rarely gets infected. But JungleSec ransomware targets Linux. Windows and Mac computers are also at risk of JungleSec attacks. IPMI is the component of the motherboard that allows remote access. Once JungleSec infects the computer, it searches for valuable files and folders. The encrypted file will have a .jungle@anonymousspechcom extension added to its name. The ransom for recovering the ransomware encrypted file is $1,100. As of today, JungleSec ransomware remains undecryptable. The victims can contact the ransomware author at junglesec@anonymousspeech.com. Now that’s another one of those infuriating examples of ransomware attacks. Djvu ransomware is a variant of STOP ransomware. It adds different extensions to ransomware encrypted files. It spreads through crack versions of the software. Bleeping Computer also said that it is distributed through Adware Bundles. Djvu is a ransomware that you will never want to hit your computer. The new version of Djvu uses RSA to encrypt files. The cost for restoring the files ranges from $350 - $980. To avoid those examples of ransomware attacks, protect your computer with advanced anti malware software. Download Comodo Anti Malware for a personal computer. Not only it protects the computer against ransomware. It also protects the computer against Spyware, keyloggers, rootkit, and adware. For a business network download Comodo Advanced Endpoint Protection. It is highly recommended to protect endpoint devices. What are the Features of Comodo Advanced Endpoint Protection? Auto-Containment - is a sandbox-based technology built upon Default Deny. It protects the computer against ransomware and zero-day threats. HIPS or Host Intrusion Prevention System - renders fileless malware useless. It monitors the computer memory and registry. It also detects sophisticated malware that evade the detection of the firewall and antivirus. Firewall - protects the computer against spear phishing. By filtering network traffic, it prevents inbound and outbound threats. VirusScope - detects behavioral patterns in no time using advanced Behavioral Monitoring techniques. Valkyrie - a verdict platform with static and dynamic analysis that identifies malware in 40 seconds! Protect your network and endpoints against any of those examples of ransomware attacks. Download Comodo Advanced Endpoint Protection now!